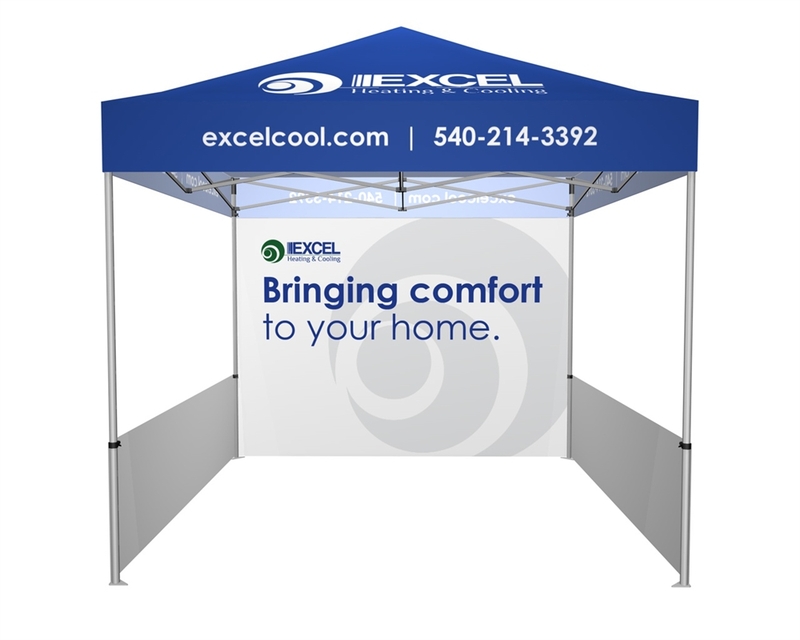 Easy to assemble outdoor tent featuring a custom printed canopy, halfwall, and backwall. 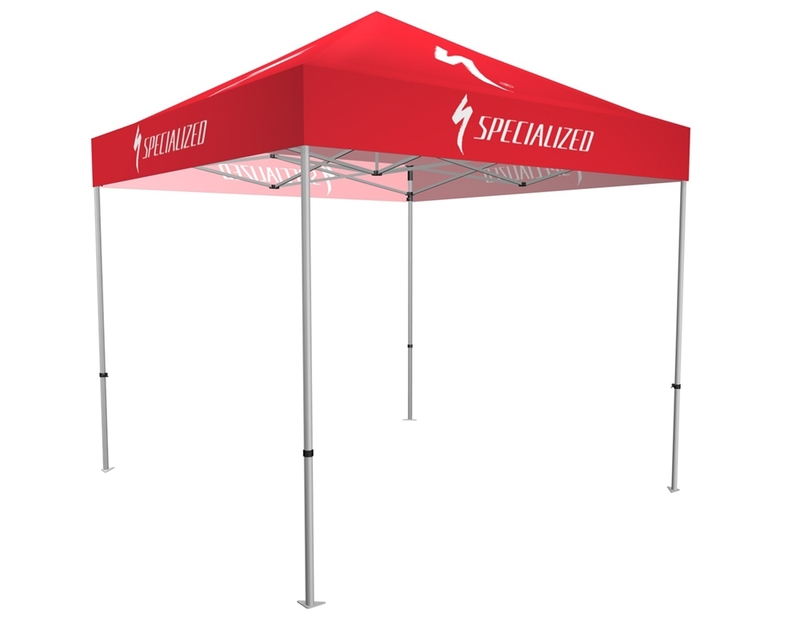 Kit includes four ground stakes and a wheeled soft case. 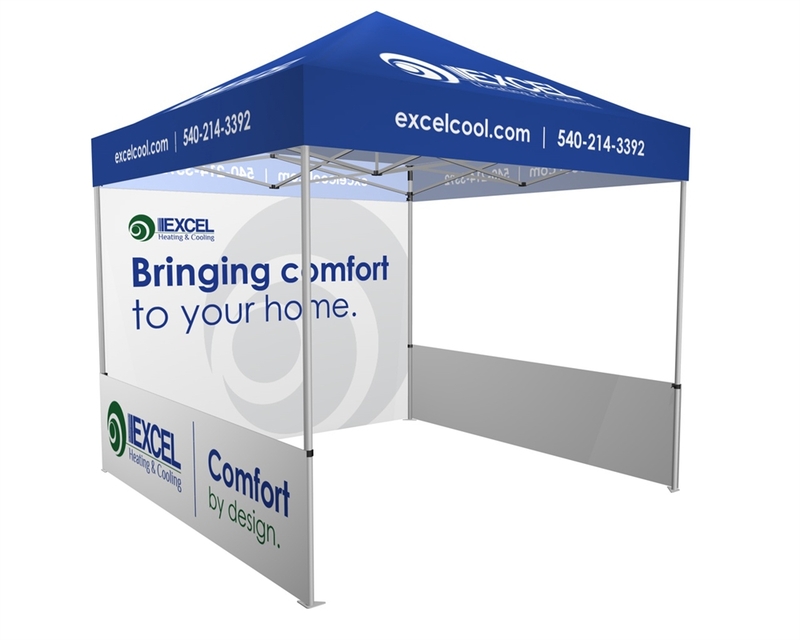 The pop-up frame, made from durable, lightweight aluminum is strong and stable and can endure exposure to the elements. 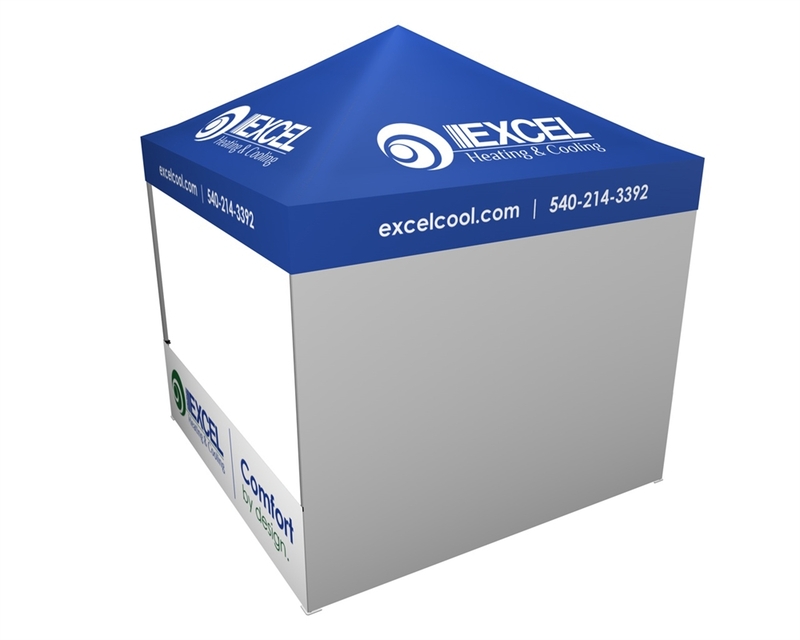 The wind, water and UV- resistant polyester outdoor canvas is custom printed using a premium digital dye-sublimation printing process for vibrant, long-lasting branding. 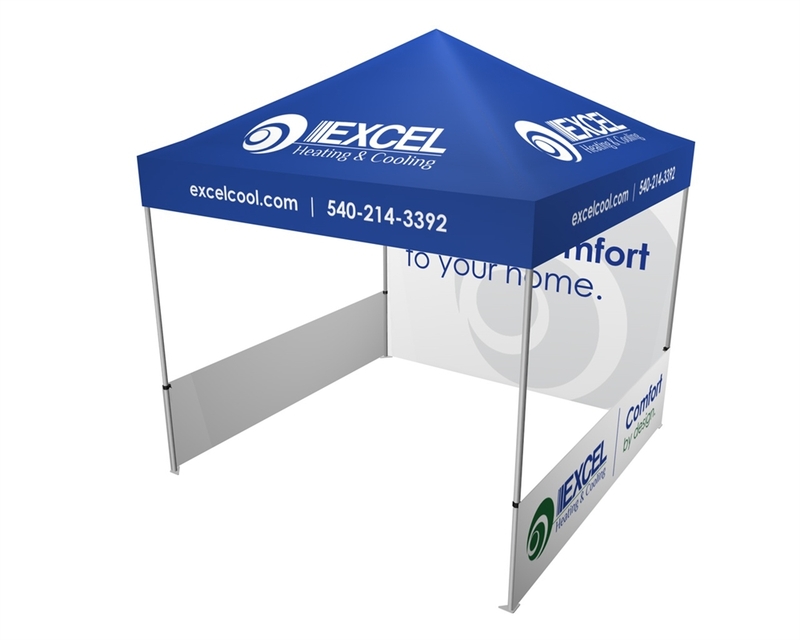 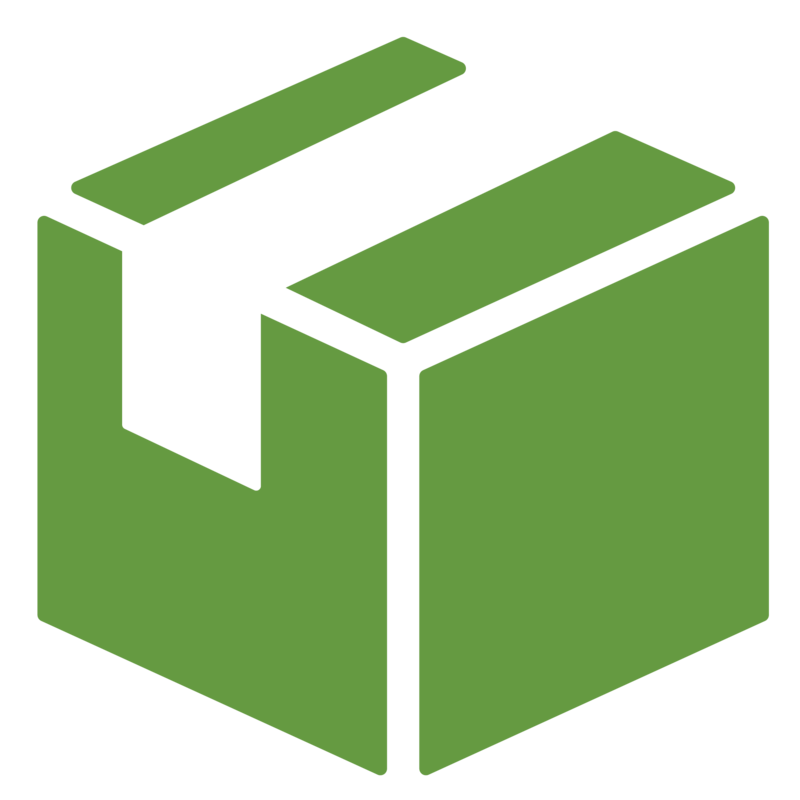 The kit includes the frame, custom printed canopy, a portable rolling carry bag, (1) full backwall graphic,and (2) side panel graphics for maximum brand exposure.